The purpose of a consumer drone remains nebulous these days. Depending on who you ask, you’ll get a different answer. Drones are great for sophisticated aerial photography and video, but they’re also adept at surveying empty lots of land and crowded real estate, or measuring agricultural yield and helping climate model the Arctic. But what’s the point of a drone for the everyday consumer, for you or me? That’s not readily apparent. Even as drones get more sophisticated, cheaper, and smaller, there isn’t an easy answer beyond the fact that unmanned aerial vehicles are cool gadgets and fun to fly — granted, where and when the Federal Aviation Administration deems it legal to do so. But what if a drone was smart enough to handle itself, in any and all situations? What if the drone didn’t need to be flown at all, because software did it for you? What you might do with a drone of that caliber is up to you, but the possibilities are indeed tantalizing. And that’s the pitch from Skydio, a Mountain View, California-based startup that sells arguably the world’s first fully autonomous consumer drone. 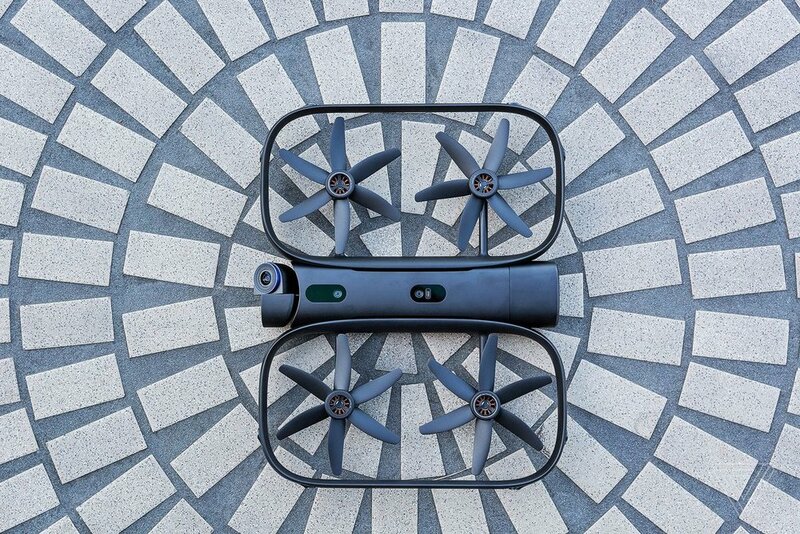 Called the R1 and announced back in February, the $2,500 device uses a blend of cameras, sensors, and a powerful Nvidia-made onboard computer — the very same chip set that powers self-driving cars — to map its surroundings, plan and predict its flight path, and avoid all manner of obstacles as it tracks a single human subject. The company hopes its drone, and the sophisticated artificial intelligence that pilots it, will reframe the question of “why buy such a device?” into “what can this device do for me?” Do you like running, cycling, or action sports like skateboarding? Do you want to capture yourself performing those activities in almost any environment, and with a variety of professional-looking camera angles? Skydio thinks that a mix of eager drone-loving early adopters and action sports junkies will buy into that vision right now, even at the steep price of $2,500. But down the line, the company hopes the computer vision software that powers its autonomous algorithms can be packed into drones that are far more accessible. GCG Alumni makes cover of Time magazine for all the right reasons. Congratulations to Noelia Corzo, one of the Avengers!